We are pleased to introduce Sri Sri Ayurveda wholesale accounts designed to provide high quality, authentic Ayurvedic herbal supplements to qualifying partner and practitioners at a reduced rate for use or resale within their practice. This program is open to Ayurvedic practitioners, Health Professionals, Naturopathic Doctors, Wellness Centers and Yoga Studios. Extensively researched and developed by Ayurvedic doctors, Sri Sri Ayurveda herbal supplements are blended to support the body’s natural functioning and healing. They work harmoniously with the body to build strength and promote healing from the inside out to restore optimum health. 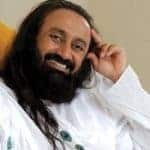 Sri Sri Ayurveda was established in 2003 in India with the vision of bringing the best of Ayurveda to the world by reviving Ayurveda in its truest form. The Sri Sri Ayurveda portfolio herbal supplements, personal care products and food and nutritional products produced in a world-class* facility based within the Art of Living International Centre, Bangalore, India. Sri Sri Ayurveda also supports an Ayurvedic research hospital and an Ayurveda college offering professional degrees in Ayurvedic medicine. 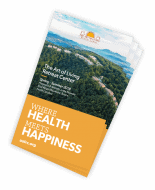 Sri Sri Ayurveda operates on a unique 360° approach, from the training of their Ayurvedic doctors and development of their advanced research division to production and distribution. Each individual element is valued, supported and strengthened culminating in a high quality, extensively researched product that ensures the global vision is fulfilled. A percentage of proceeds from the sales of the Sri Sri Ayurveda products go back to support our social initiatives. *The facilities hold the prestigious Good Manufacturing Practice (GMP) and Hazard Analysis and Critical Control Point (HACCP) certifications. Product: Extensively researched, high quality Sri Sri Ayurveda herbal supplements with production based on quality, integrity and reliability. Benefit: Receive 20% reduction on the Sri Sri Ayurveda herbal supplements. Requirements: You are required to be an Ayurvedic practitioner, health professional, naturopathic doctor or operate a wellness center or yoga studio. The Sri Sri Ayurveda herbal supplements are for resale or use in your health practice only.